Community Centre Week is an annual event. It provides an opportunity to come together with others and showcase the invaluable work that community centres, organisations and individuals do. Local centre and organisations will be running an amazing array of activities, events and open days. 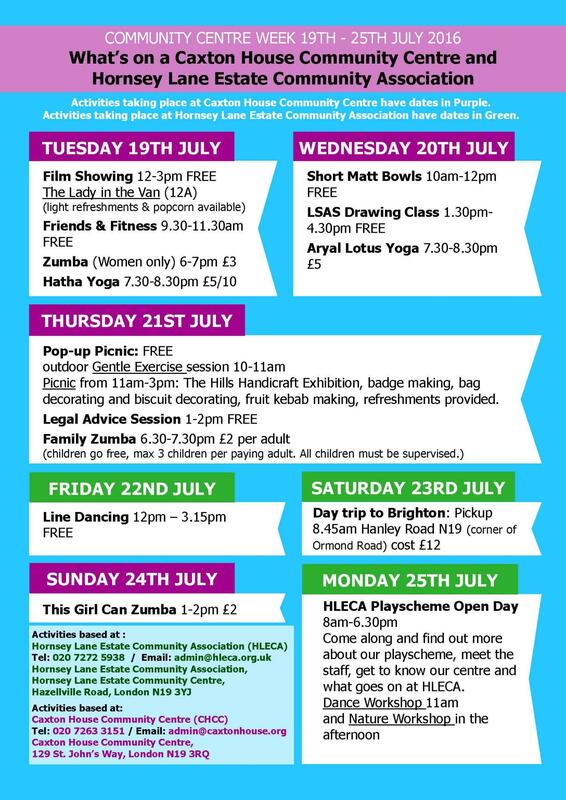 Check out the Community Centre Week Website for information about what's going on at local centres and keep an eye on their twitter page for even more events and activities around the UK. The Lady in the Van (12A), free light refreshments and popcorn available. Includes: free refreshments (feel free to bring extra picnic goodies), the Hills Handicraft Exhibition, badge making, bag decorating, biscuit decorating, and fruit kebabs making. Come along and find out more about our playscheme, meet the staff, get to know our centre and what goes on at HLECA. Dance Workshop 11am and Nature Workshop in the afternoon.